Redeemable at any Myer store across Australia and online at myer.com.au. 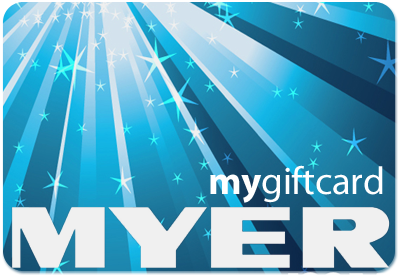 This eGift Card is only accepted at Myer stores, and is NOT accepted at any Coles Group stores. Any unused amount will remain on your eGift Card and can be used towards your next purchase.